Description: The development of 170 West Broadway includes residential as well as mixed-use facilities. The project will include 33 condominiums and includes 46,194 gsf of space. 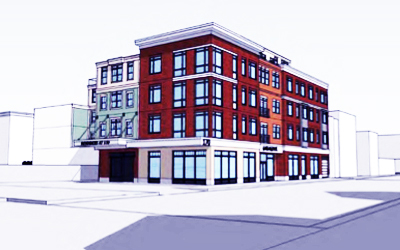 An additional 4,500 gsf will be mixed-use including restaurant and local-business space. The project will reserve some of the condominium for affordable housing. Scope of Work: Fenagh Engineering and Testing is conducting a full range of material testing and special inspection services for the owner.